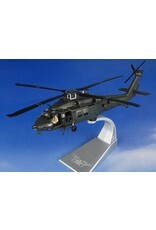 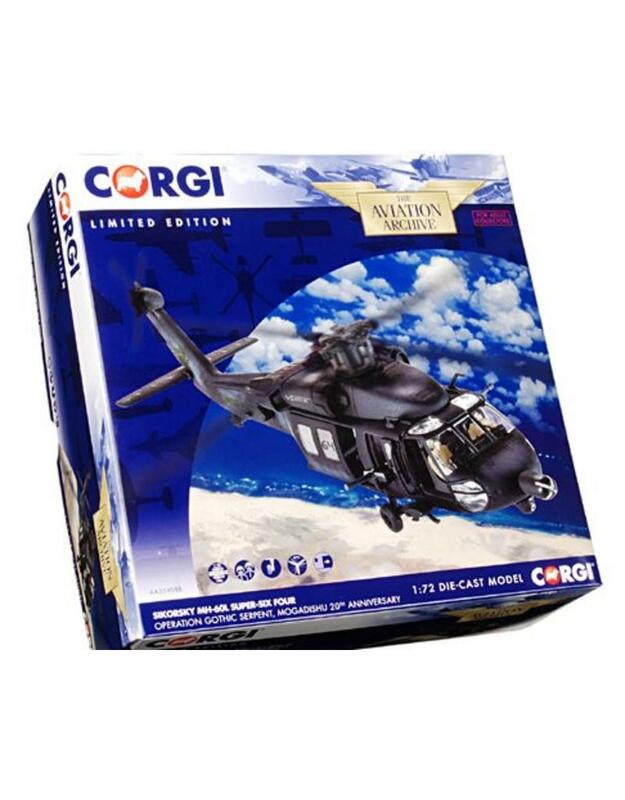 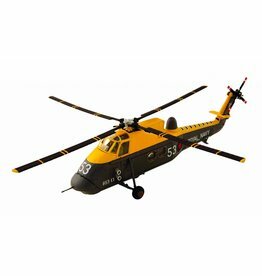 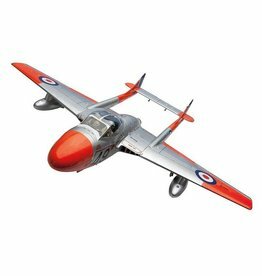 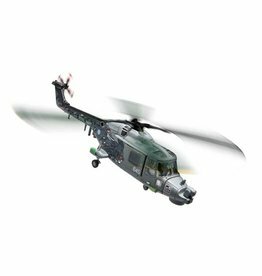 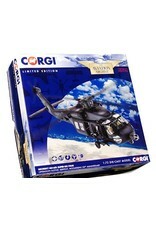 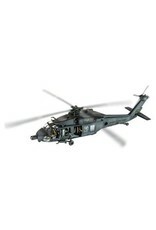 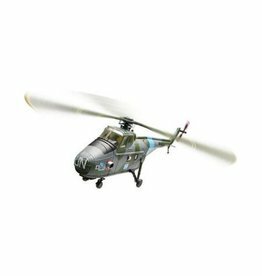 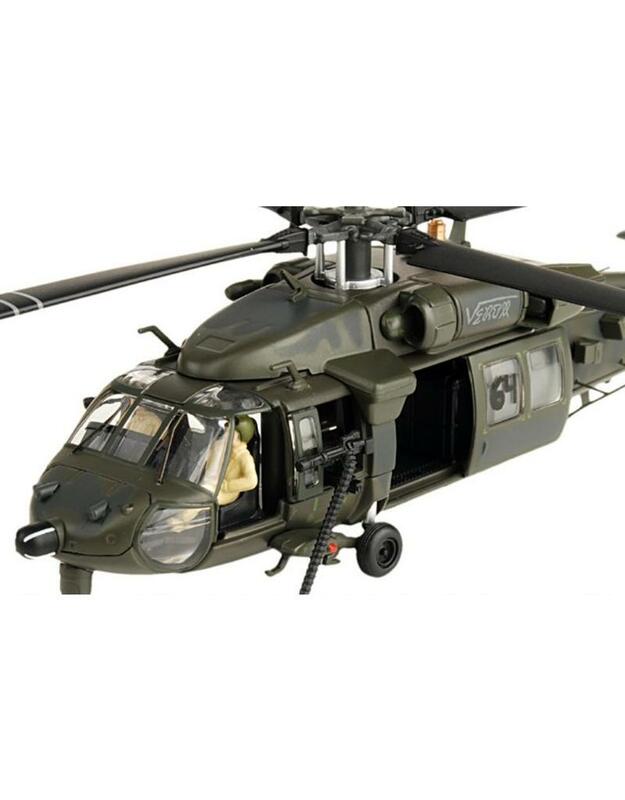 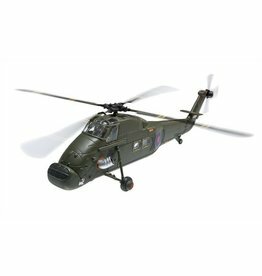 Corgi's 1:72 scale Blackhawk helicopter is beautifully detailed, with main and tail rotor heads that spin freely. 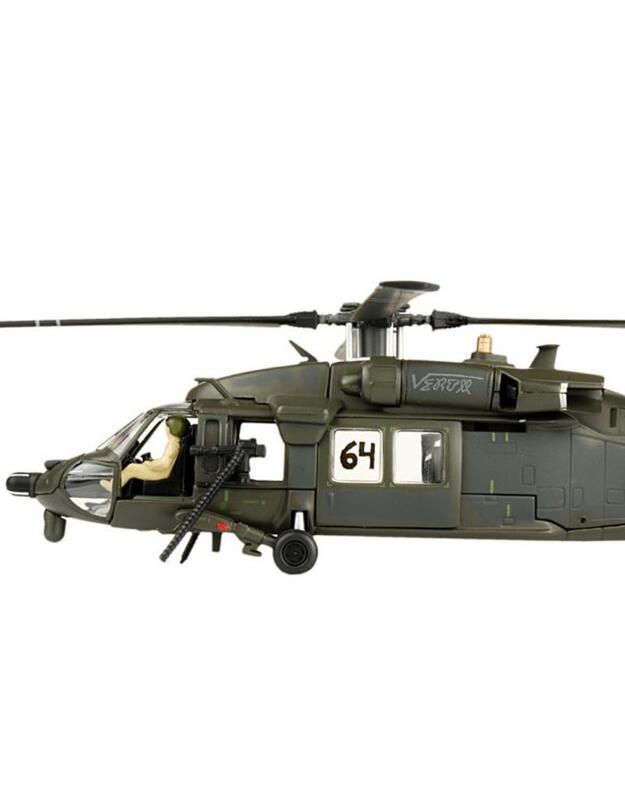 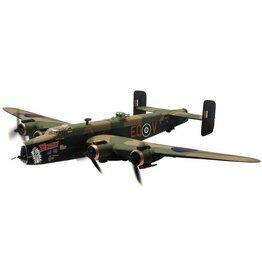 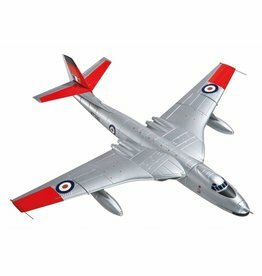 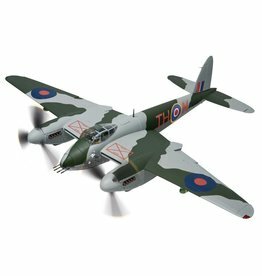 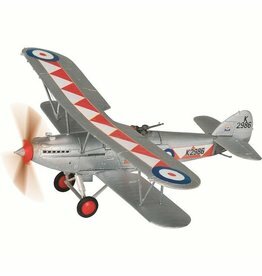 The "green-house" canopy with separately applied photo-etched metal wiper blades is large, allowing for easy viewing of the cockpit interior and crew figures. 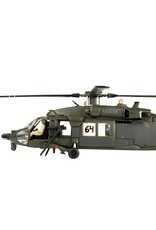 Some releases include a sliding cargo door that reveals additional crew figures and interior details of the cargo-hold. 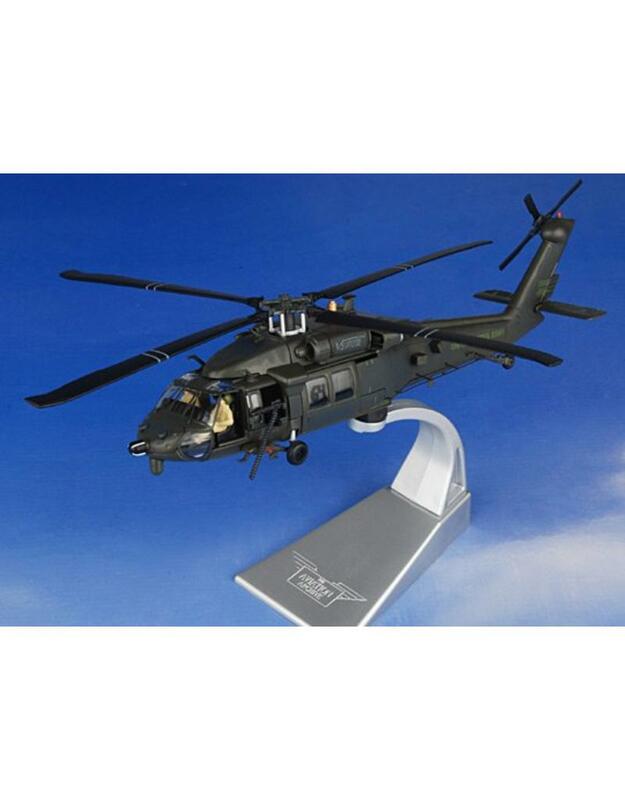 Sikorsky UH-60 Black Hawk 8.25" 9"